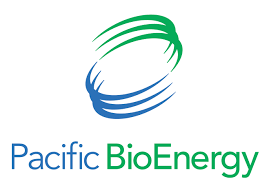 Pacific BioEnergy continues to look for answers following a fire at its Prince George plant on Saturday. According to the company, the incident was detected by employees just after 8:30 AM. The blaze was observed at the top of a bucket elevator which was transporting wood pellets. In an interview with My PG Now, PacBio President John Stirling states the fire did spread to the area thanks to the windy conditions that day in Prince George. The damage from the blaze according to the local fire department was estimated at $750,000, however, Stirling believes the number could be higher. Prince George fire crews extinguished both fires and stayed on scene for several hours. PacBio will continue to monitor its sight and equipment as well as focus on the impacted areas. The plant is not in production right now but employees have returned to work.